When a woman’s tortured body is discovered in an abandoned warehouse, Gerri and Ray can’t help but think it might be a weird case. With Jackson Pierce stirring trouble against them, can they solve it without Kinsey’s help? 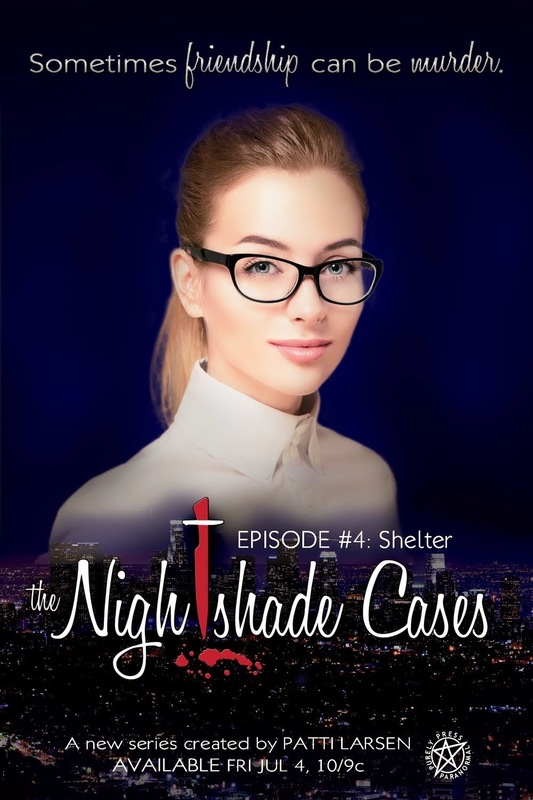 Welcome to The Nightshade Case, a novella series of twenty-one episodes. Please note: this episodic series is based on the television show model, with screenwriting notations and shorter formats. There will be a complete mystery each week, with cliffhangers only occurring in the full season story line. Silver City. The installment is concentrating more on Kinsey. She is struggling very hard between the desire to crack the symbols that seem to keep appearing everywhere she goes and the desire to let it go cause Gerry is wanting her to. She is also trying to fight the feeling that Simone has been influencing her and putting a wedge between her and the girls. She is just in so much turmoil. Then there is Gerri who is also fighting to keep her, as the girls call it . weird side under control. She is in denial and it is starting to put a strain on her and the relationships between her and the girls . We also see Ray and her struggles with what is happening and I know there is more to Ray then anyone thinks. I so can't wait to read more about her. She is still a big mystery in all of this .We know that she can see the illness that people don't know they have, That makes her a great medical examiner but a lousy girlfriend . There is also another woman thrown into the mix now Cici Panther , Gerri's therapist. We met her last episode. This episode she plays a bigger part. So much that she open herself up to the old powers of her people to see the weirdness that is happening in Gerri .